August 12, 1615 first Mass celebrated in Ontario by Father Joseph LeCaron in the presence of Samuel Champlain. There are two crosses that mark this site. 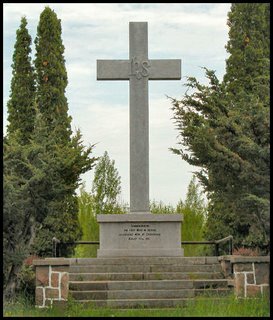 Were did you find the other smaller cross and is there a dedication on it. Who ownes the smaller one and what is the rational or documentation in support of it's location. My oversite. 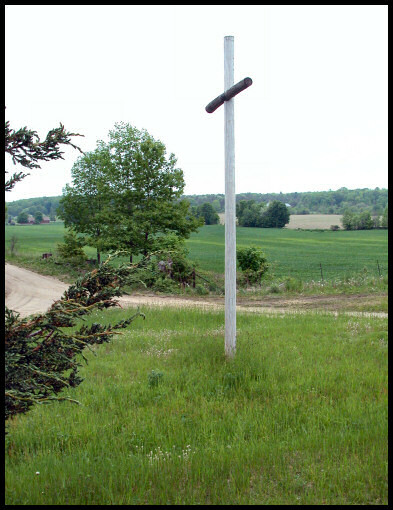 I believe that there is a second cross, perhaps at the 17th and Thunder Beach Rd. I'll have to stop there next time by and see if I can find a dedication. It was a long time member of Knights of Columbus that told me that this one was also placed to mark the location of the first mass. 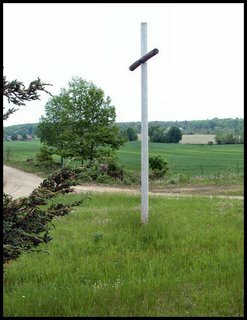 I have been looking at the inscription on this cross dedication and noted "First Mass in Ontario". I was speaking to a member of the Tiny Township Historical Committee who questioned the accuracy of this statement. He feels that any Priest travelling over that great a distance and over perhaps a 30 day period, would have said mass somewhere in present day Ontario on his way up to Huronia. 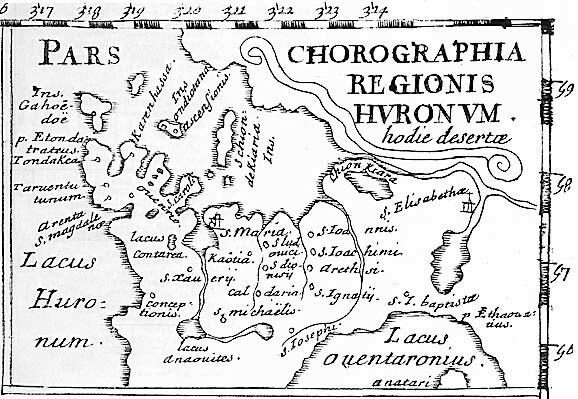 He had been here 10 or 12 days before Champlain found him and probably would have said mass upon his arrival. This might be better noted as the First recorded Mass in present day Ontario. These are some of the minute but important details that we should be concerned with if we ever enter into a plaquing program.